Check out some of the highlights from Capital XTRA's first ever #BrunchNBeats event at Boxpark Croydon. 1. 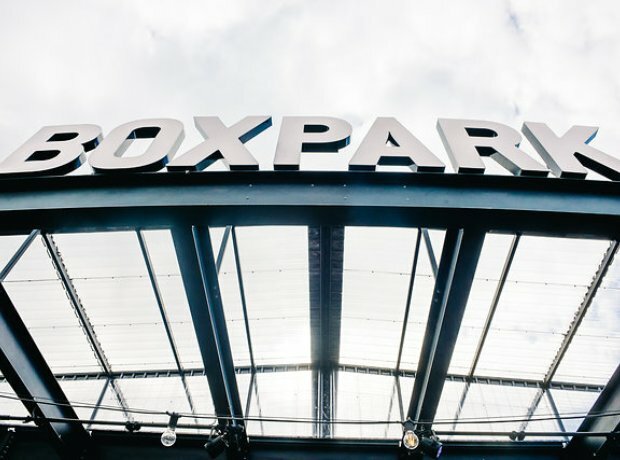 Capital XTRA threw its first ever #BrunchNBeats event at Boxpark Croydon! 2. In partnership with EE Pay As You Go, the event was hosted by our very own Toni Phillips. 3. It was a day full of good food, good music and good vibes all round! 4. Inside the EE 'Boost' area, the glitter station proved very popular. 5. As did the hair braiding. 6. Manny Norte absolutely smashed his set. 7. There were some serious moves being cut on the dancefloor. 9. Tim Westwood was on hand make sure everyone was having a good time. 10. The more glitter, the better. 11. Guests could capture their favourite moments in the on-site photobooth. 13. ...who got the crowd going crazy! 14. Everybody was feeling the music. 15. Inside their epic 'Boost' area, guests could also recharge their phones - winner! 16. And of course, who could forget the food?! 17. There was something for everyone - burgers, chicken, donuts, cronuts... the list goes on. 18. It was the perfect spot for guests to chill between dancing. 19. Thousands of selfies were taken with the trending hashtag #BrunchnBeats. 20. The event was packed! 21. Pictures were taken, food was eaten and the drinks were flowing. 22. Westwood rounded off the incredible event with his own epic set.